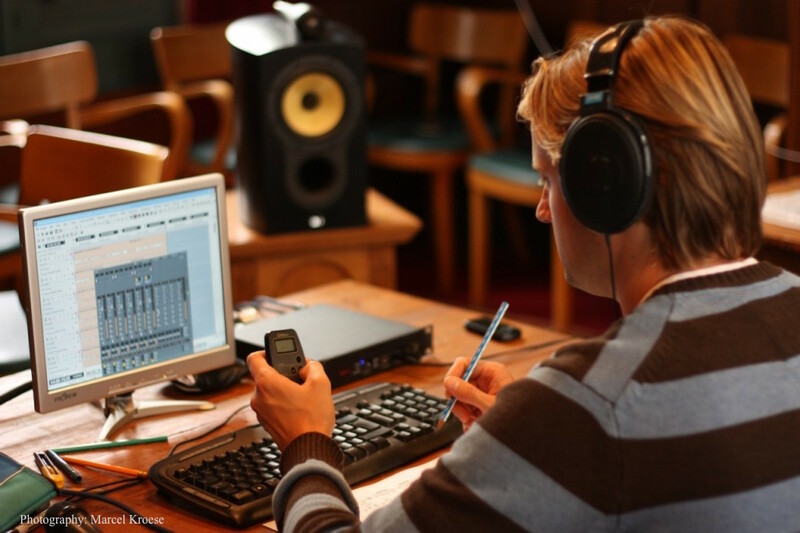 Daan van Aalst is an independent Recording Producer / Sound Engineer involved in recording high quality classical and contemporary music in the Netherlands and abroad. Daan runs his own recording company, allowing him to work independently with musicians and produce recordings of the highest nature. Daan graduated from the Royal Conservatoire in 2002, where he studied Art of Sound. In his second phase of the programme, he worked on a project studying classical music and surround sound recording. During his time at the Conservatoire Daan was an intern at Channel Classics Records and Polyhymnia International, the former Philips Classics recording centre. After his graduation, he continued working as a freelance recording engineer for companies like Channel Classics, Polyhymnia International, De Haske/Hal Leonard and Da Capo. He worked with artists such as Rachel Podger, Iván Fischer and the Budapest Festival Orchestra, Amsterdam Sinfonietta, the Concertgebouworkest, Mitsuko Uchida, the BBC Symphony Orchestra, Hans Vonk and many others. From 2002 Daan worked with pianist Rian de Waal, for almost nine years, on his transcription recordings ‘Metamorphoses, the art of the virtuoso piano transcription’. The project was released as a book, along with six audio albums. Daan started as a teacher at the Art of Sound department of the Royal Conservatoire in The Hague in the 2010-2011 semester and is now, besides his regular recording and label activities, the main subject teacher ‘recording’, project co-ordinator and label manager. In 2013 Daan started his own international record label Navis Classics. National and international artists such as Noé Inui, Vassilis Varvaresos, Naum Grubert, Joachim Eijlander, Dimitris Tiliakos, the Zemtsov Viola Quartet and Ensemble Houthandel have all successfully released albums under Navis Classics. In addition, Daan has worked as recording producer and balance engineer with artists such as Pieter Wispelweij, Harro Ruijsenaars, The Rubens Kwartet, Hidemi Suzuki, Sarah Kapustin, Charlotte Margiono and Frans Ehlhart, The Ragazze Kwartet, Chie Hirai, The Flanders Symphony Orchestra, Musikkollegium Winterthur, Joop Celis and Klaartje van Veldhoven. He was also involved as Sound Director in video productions with the Rotterdam Philharmonic Orchestra, The combined Orchestra’s of the Royal Conservatoire and the Juilliard School of Music with conductor Ton Koopman, The orchestra of the Royal Conservatoire with Valéry Gergiev and a production with ‘Friar Alessandro’ for PBS (USA). Besides the recording and sound direction projects, Daan worked as studio co-ordinator and radio technician for the Dutch national radio until 2013.